The company said the decision comes hot on the heels of the completion of a successful C$108.5-million public offering in July. 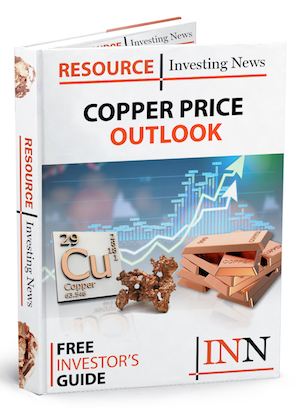 Nevada Copper (TSX:NCU) has done the numbers and decided to go ahead with full-scale construction works at its flagship Pumpkin Hollow copper project in western Nevada. In an announcement on Tuesday (August 28), the company said that the decision came hot on the heels of the completion of a successful C$108.5-million public offering in July. The decision is based on a construction capital expenditure estimate of US$197 million for the Pumpkin Hollow underground project, the company said. The news won’t be too much of a surprise, as Nevada Copper has been busily working on underground pre-construction activities at the site since May, which included securing various contracts in preparation for works, shifting infrastructure into gear and out of care and maintenance and hiring new staff. “We are very excited to commence full-scale construction of the Pumpkin Hollow underground project, which will include the processing plant and completion of the underground mine,” said President and CEO of Nevada Copper, Matt Gili. Pumpkin Hollow, near Yerington Nevada, consists of two projects, an underground operation — now commencing construction — and an open pit operation that is advanced-stage development and undergoing an optimization program. The two projects are mutually exclusive. The underground project will have a capacity of 5,000 tonnes per day of throughput grading 1.81 percent copper for an average annual copper production of 50 million pounds. It would also produce 8,000 ounces of gold and 150,000 ounces of silver annually over a 13.5-year mine life. 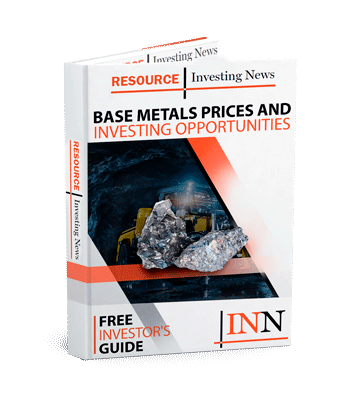 In the Tuesday release, the company also said that it had now met the conditions for a US$70-million boost in funding thanks to a precious metals streaming deal with Triple Flag Mining Finance announced last year. The drawdown on that funding will occur shortly. The fruits of its pre-construction work is apparent also, as Nevada Copper announced that it had awarded key contracts to two companies. American company Cementation, which did pre-construction work, has been rewarded for its input with a contract for shaft sinking and underground development work, while Sedgman, which is part of global mining services company CIMIC (ASX:CIM), has been awarded a fixed US$118-million engineering, procurement and construction contract for surface plant and infrastructure works. The company also has the luxury of wriggle room after securing a commitment from cornerstone shareholder Pala Investments for a loan of up to US$25 million over the next 12-24 months if Nevada Copper requires it. The Investing News Network will have the opportunity to get up close to what Nevada Copper is up to at Pumpkin Hollow next month with a site visit. Stay tuned for more coverage in mid-September. On the Toronto Stock Exchange, Nevada Copper is trading at C$0.445, down 3.26 percent as of market close.